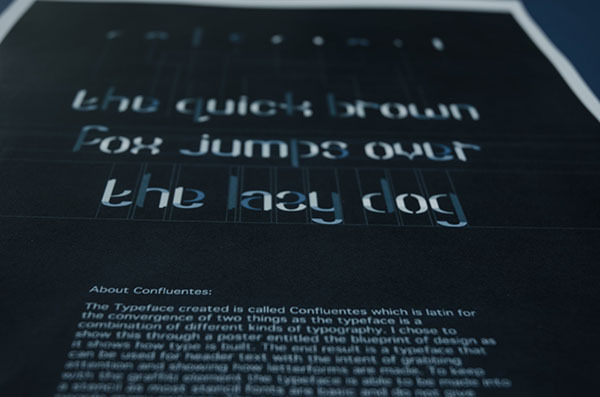 About Confluentes: The Typeface created is called Confluentes which is latin for the convergence of two things as the typeface is a combination of different kinds of typography. 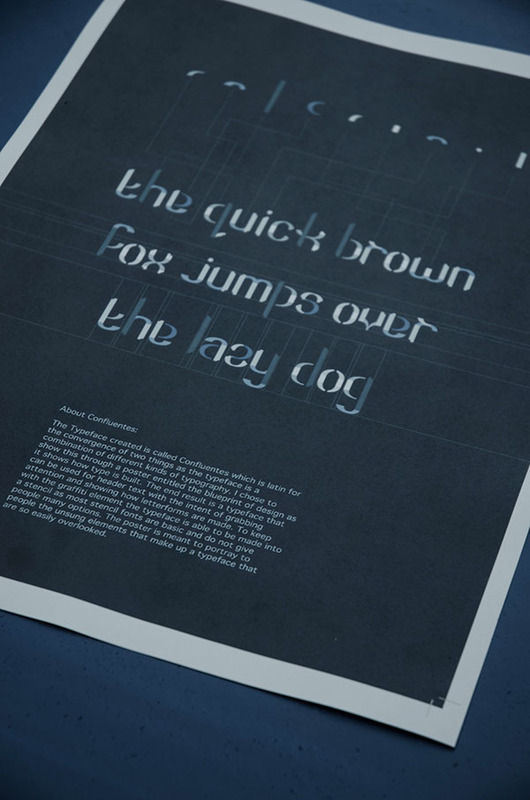 I chose to show this through a poster entitled the blueprint of design as it shows how type is built. 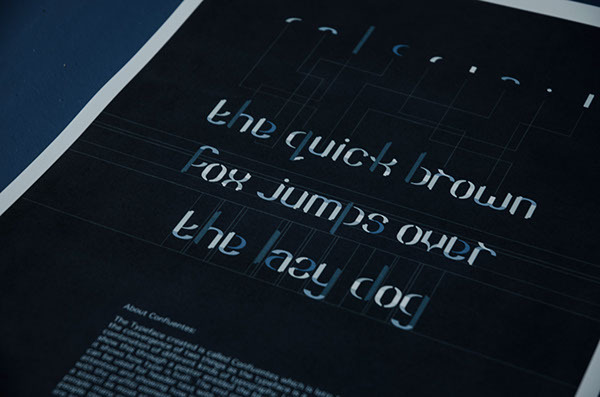 The end result is a typeface that can be used for header text with the intent of grabbing attention and showing how letterforms are made. 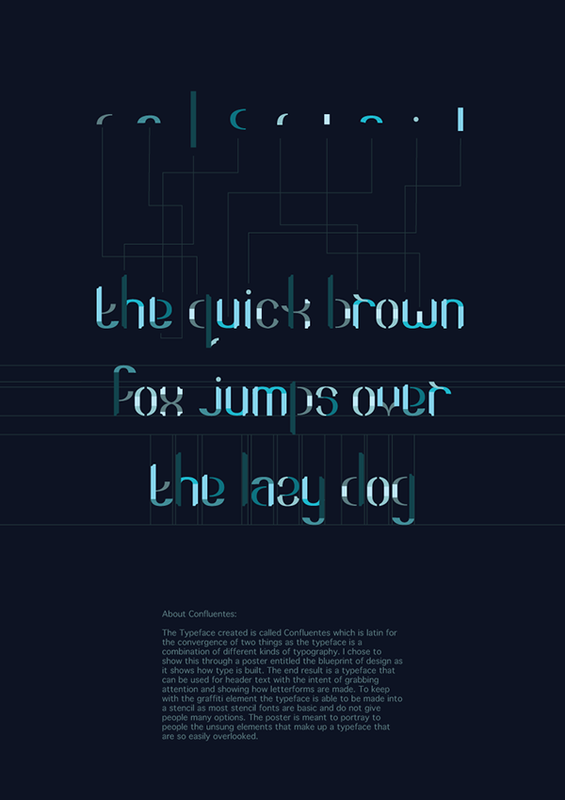 To keep with the graffiti element the typeface is able to be made into a stencil as most stencil fonts are basic and do not give people many options. 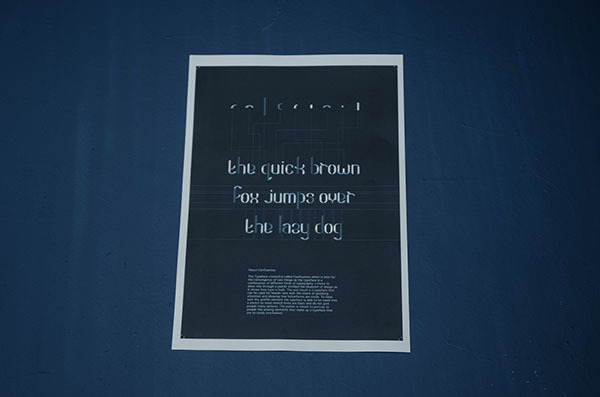 The poster is meant to portray to people the unsung elements that make up a typeface that are so easily overlooked.